Posted by Jenny in Boer War, military history, World War One. (l. to r.) Front: Deneys, Atie. Back: Hjalmar, Jack, Joubert. Photo courtesy of Conrad Reitz. This is the seventh part of a series that starts here and alternates with other posts. 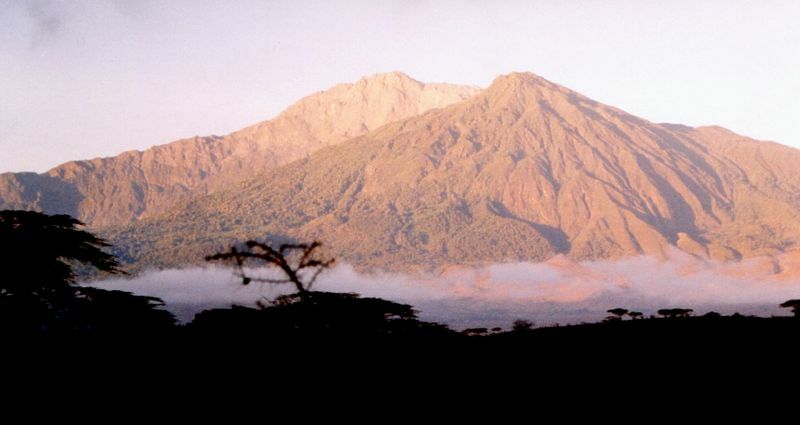 The last post described the historical background to German East Africa in World War One. This one concerns the personal experiences of Deneys Reitz as he fought in German East. 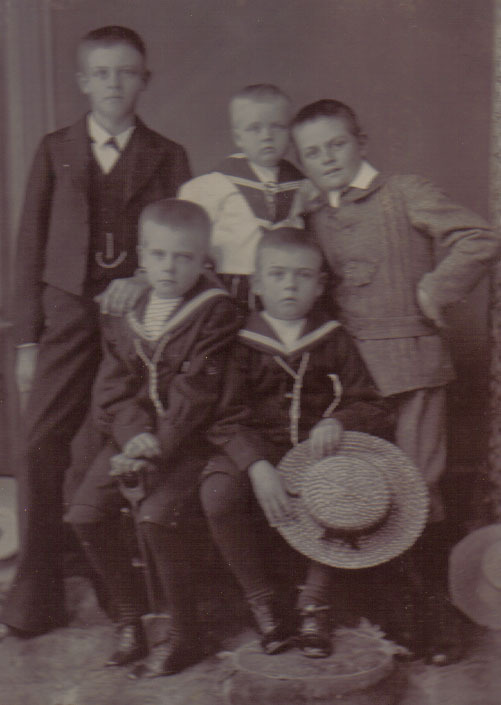 Of the five sons of Francis William Reitz and Blanca Thesen, the four oldest had fought in the Boer War. Deneys and Joubert, aged 17 and 18 when war was declared, spent much of the first year of the war side by side, sharing a tent, galloping next to each other over the veld, crouching together in a trench as the “khakis” came running with their bayonets. There was a period of several months when all four of the brothers managed to stick together. 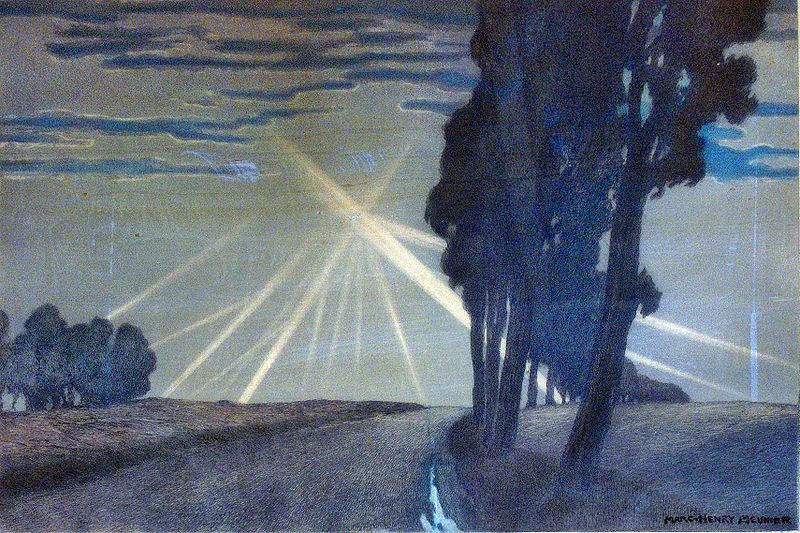 But the large invisible currents of the war swept them off in different directions, and Joubert was captured by the British and sent to prison camp in late 1900. He remained there three years. In German East Africa, in 1916, Deneys and Joubert had been so little in contact for many years that it was a surprise for both of them when they crossed paths on the Mgeta River north of the Central Railway. As it turned out, they were to encounter each other once more in German East, and that would be the last time they would ever see each other. But Reitz was always restless by nature, and when he heard of a contingent pushing ahead to join Jacob van Deventer in a preliminary advance, he immediately decided to join it. 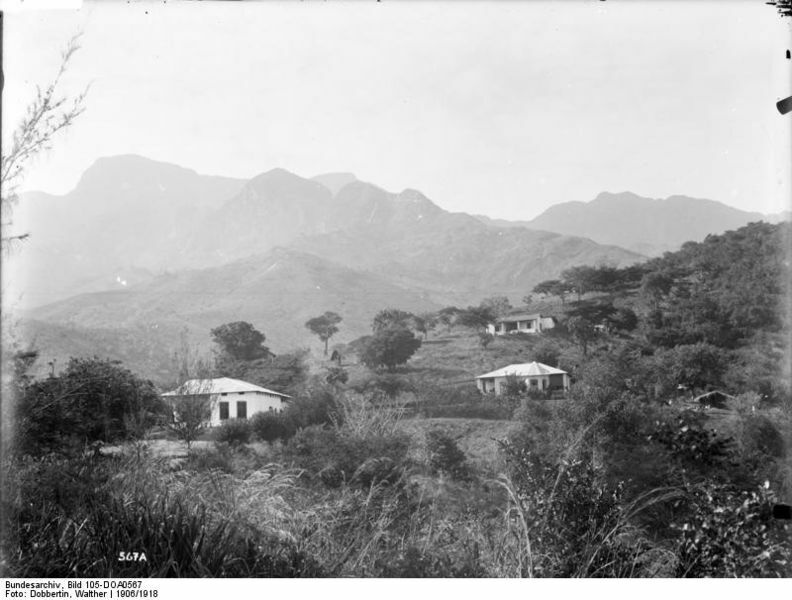 They caught up to van Deventer at Kondoa Irangi, having learned that his men had captured a company of the German Askaris. Reitz ran into Jack Borrius here—an old pal from the Boer War. Borrius was the first to give Reitz the news that Joubert was also serving in German East: Jack and Joubert had a connection from the days both had been sent into prison camp by Manie Maritz. In July the Germans retreated to the south and van Deventer pushed forward after them, moving south into dry scrub country, with Smuts advancing behind him. 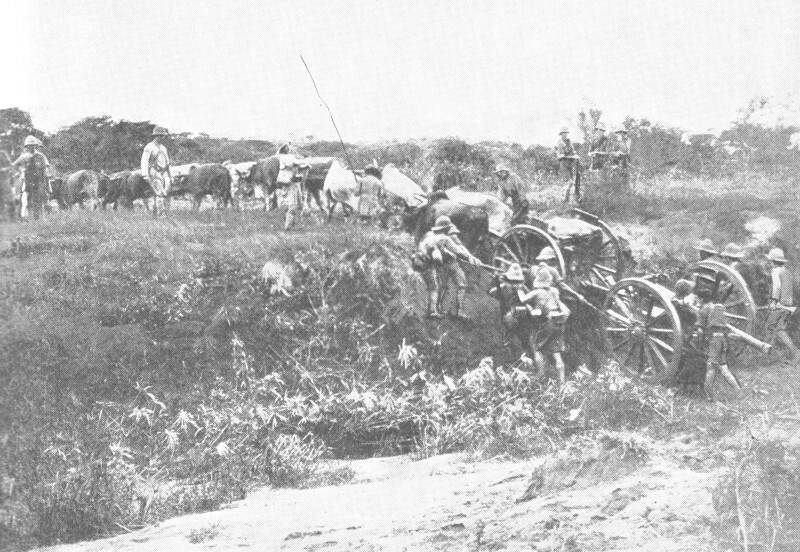 Two mounted regiments engaged the Germans at the wells of Tissu-Kwamedu. As the Germans surrendered, Reitz encountered a familiar figure: it was Joubert, serving as a sergeant with the 3rd Mounted. Joubert had been suffering from fever and had only just returned from hospital, which explained why they had not seen each other before. He looked haggard and ill. “He had much to say of how he had fared in the past, of Maritz’s treachery, and of his long months in a German prison camp in South-West.” The brothers were to be in the same vicinity but not again in contact for several months. There were further skirmishes at Hanetti and Mei-Mei, but outnumbered as they were, the Germans could not make a stand, and before long the British side had control of the Central Railway. Van Deventer’s forces advanced from Dodoma eastward along the rail line to join Smuts at Morogoro. The Germans did as much damage as they could as they retreated, by means of rifles, mines, and even at one point a 4.1-inch naval gun mounted on a railcar. Again and again, when the British cordon tightened, the Germans “filtered away like water through a sieve,” as Reitz described it: the enemy generally set up a new position from some bush-covered rise and resumed their fire in short order. It was October, and the South African troops were being replaced by Indian battalions who would be manning garrisons scattered in the rough south part of the country. Reitz had been a sort of freelance, not a member of any regiment but nominally belonging to Smuts’ staff. He expected soon to be discharged: between the lines one can read that he wanted to go back home, though he does not say so. Much to his surprise, van Deventer summoned him one morning and told him he was to take command of a mounted regiment remaining in the country, the 4th S.A. Horse, and to advance south to Iringa. After the war, he learned that his brothers Deneys and Atie had gone to live in Madagascar, and he attempted to join them. But he arrived on the far side of the island and became stricken with malaria—indeed, all three of them suffered from malaria there—too weak to make the journey eastward and find his brothers. Deneys had word of Joubert from a traveller there, but they never managed to connect. Within a few months, Reitz was on his way to the Western Front. Thanks for your fascinating blog! I’ve just read ‘Trekking On’. I presume that when you say Deneys was a ‘restless’ character, you are inferring this from his accounts of his movements etc.? I find from the 1st two books in the trilogy (I still need to get old of No.3)he is curiously reticent about his own states of mind, motivations, feelings, imaginings, fears, hopes, human connections etc etc. I’d like to find out more about the ‘inner man’. I gather that when he was Minister of ‘Native Affairs’ in the Smuts cabinet he was opposed to the pass system used so iniquitously when the Nationalist party came into power after 1948. Is there a Reitz biography extant? If not, why not? I am recently retired – and looking for a fulfilling project. Maybe this could be the challenge I’m seeking? Yes, I agree that he didn’t speak much directly of his own feelings, but I think one can get a pretty good sense of his personality and his character (I think of those as distinct entities) after reading him for a while. “No Outspan” is by far the weakest of the three books. It was obviously written in odd moments grabbed here and there, and is full of random experiences jumbled together. It describes the years when he was extremely busy leading a political life, as MP and holding various ministerial posts. It also seems a bit sad, because he seems to have given up aspects of his earlier life that were vital to him, such as exploring wild places on foot and on horseback. 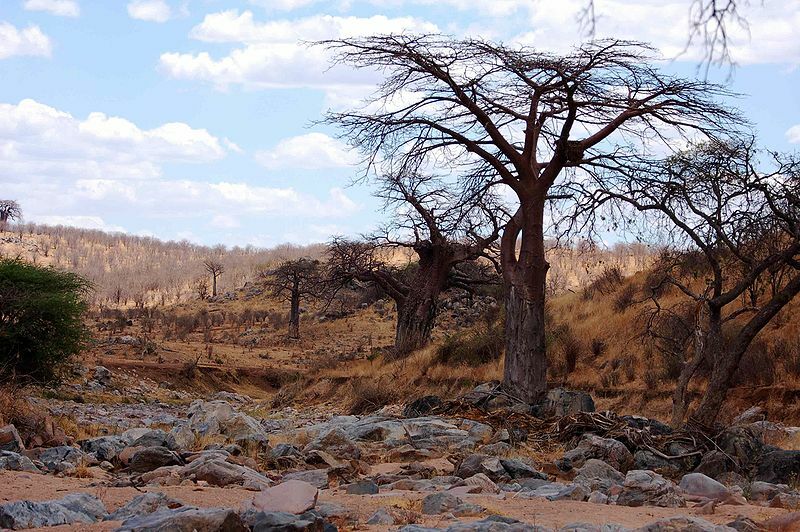 One section that I found particularly interesting described a time when he broke free from his responsibilities and went on a very adventurous trip in the Kaokoveld, in present-day Namibia. A biography has been in the works for some years now by a fellow named Marius van Blerck who was acquainted with Deneys’ son Jan Reitz (now dead). Van Blerck is a high ranking executive at Standard Bank and is considered by the family to be the official biographer. As you probably saw on other pages of this blog, I have written a book myself about Deneys’ Boer War years, relating his experiences to ones of other Boer fighters. It has never been published.